This is because here, your help is urgently needed. Although Nigeria is Africa’s largest oil producer, the overwhelming majority of the population lives in poverty there. The average income of a family is just € 85 per month and there is also an unemployment rate of 40%! To make matters worse, there is the appalling level of corruption that prevents a lot state aid from reaching where it is needed. Often the weakest in society suffer the most from this situation. It’s the children – this is where our work begins. With our clubs we can help locally. Since the help really arrives here. 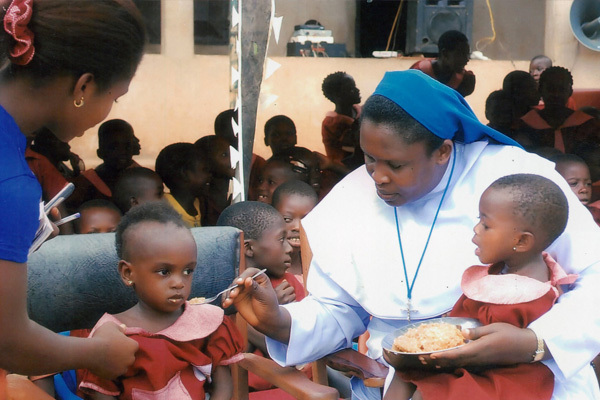 Our aid projects in Enugu are conducted by the Sisters of the Congregation of Daughters of Divine Love (DDL). The Congregation is active worldwide. The DDL sisters living in Leverkusen are our link to the people of Enugu and are also a guarantee that your donations will be used well and responsibly. In this way, our work gets a personal connection to the helpers and the supported people. The use of your donations is comprehensible at any time. The congregation of the Daughters of Divine Love, abbreviated as (DDL) is a Catholic order of the religious women with pontifical right. 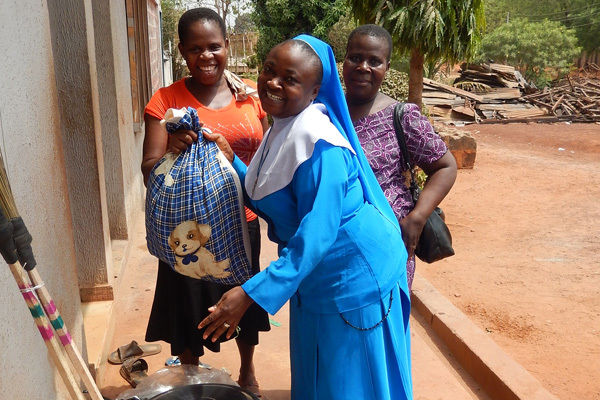 The sisters have committed themselves to the goal of carrying the message of the love of God into the world through their active service to needy people. 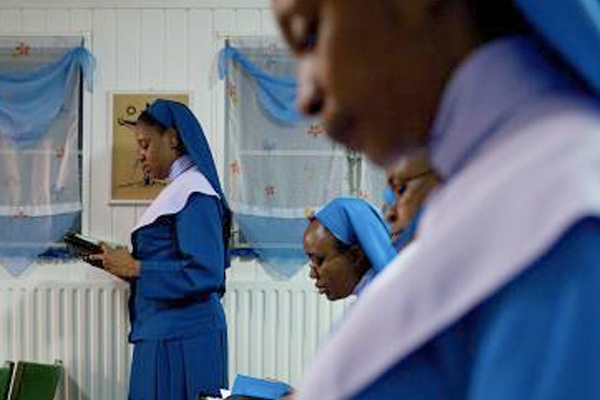 The congregation was founded in 1969 in Nigeria, where it still has its headquarters today. 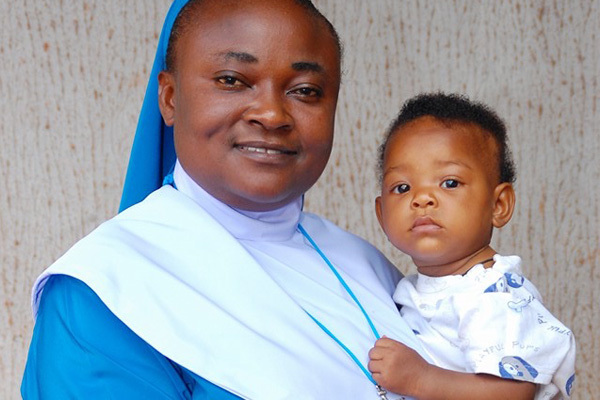 The circle of the approximately 1000 sisters, however, goes far beyond Nigeria’s borders – about 1/3 of the sisters is active in other African countries, but also in Europe and in America. The focus of the charitable work of the DDL Sisters is on children and adolescents. 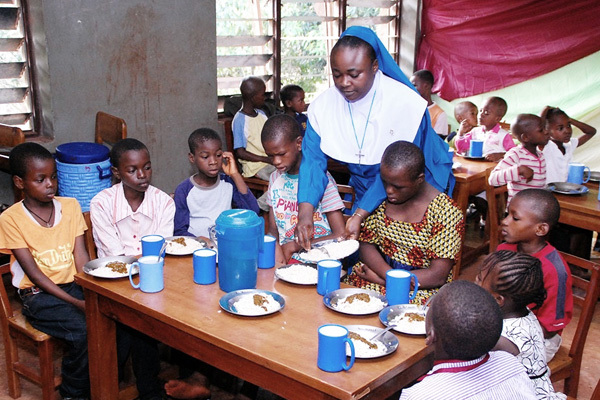 The congregation maintains its own schools, hospitals and children’s homes in many countries, where the most vulnerable are primarily cared for. Other measures support women, single educators, the homeless and the sick. In Germany, about 80 DDL sisters work in various health and social sectors. In Leverkusen too, the Blue Sisters – as they are often called on the basis of the colour of their veils – are active. 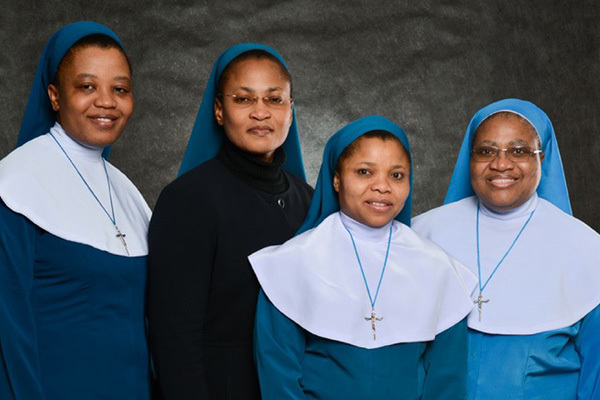 Four of them from the Convent in Leverkusen-Opladen work at the local archbishop’s Marienschule and in St. Remigius Hospital Leverkusen-Opladen, where the very first aid campaign for a schoolchild was also launched in Nigeria. 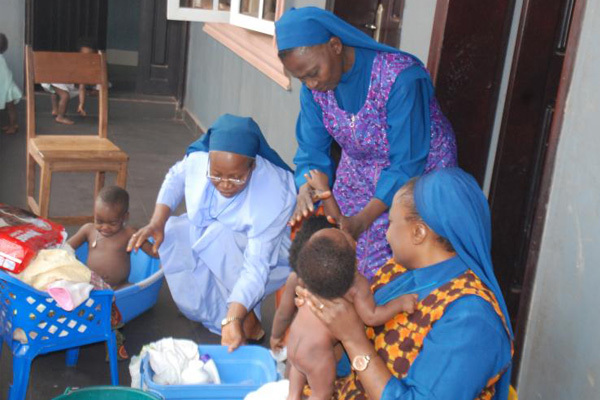 In Nigeria, the sisters themselves help the needy in schools, homes, hospitals etc. They guarantee that your donations will be conscientiously used. Become a member of one of our organizations. Support us in practical terms, for example by making friends, acquaintances and our work known to them. We would be happy to send you information material. And last but not least, we also need your financial help.